Our focus is your success. 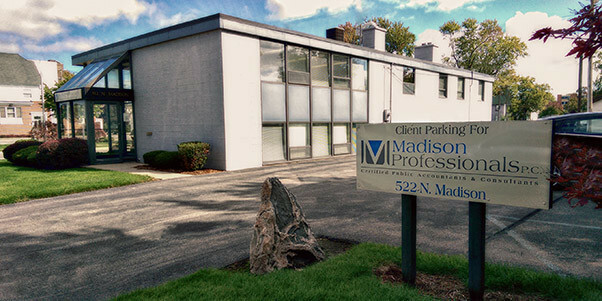 Madison Professionals, P.C. is a public accounting and consulting firm serving businesses and individuals mainly in the Mid-Michigan region. We strive to deliver valuable accounting, tax and consulting services to our clientele. As your business partner, we understand your need to save time and will work with you to find effective solutions for your business needs. Accounting & tax is essential for managing both business and personal affairs! Copyright ©2016, Madison Professionals, P.C.